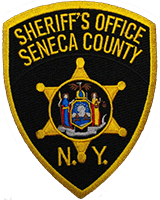 The Seneca County Sheriff’s Office Reports on 04/11/2019 at approximately 01:00 A.M., Deputies arrested Trevon N. Kangumine, 24, of Ovid, for Felony DWI, Aggravated DWI, Obstructing Traffic at an Intersection and Open Container. The arrest stems from an investigation into the report of an unconscious male driver in the middle of an intersection of Seneca and Main St in Ovid . After several failed attempts of knocking on the window to wake the driver up, the passenger window had to be smashed in order to wake him up. The driver was Identified as Kangumine and after speaking to Kangumine, he was found to be intoxicated. Kangumine was committed to the Seneca County Correctional Facility and held awaiting arraignment.